** BRAND NEW CONSTRUCTION COLONIAL IMMEDIATE OCCUPANCY! Located in the desirable Century Oaks Subdivision in the award winning ROCHESTER SCHOOL DISTRICT. This home sits on a large 3/4 of an acre lot in a Cul-De-Sac. Filled with upgraded features including: 10' ceiling heights thru-out 1st floor, Massive entertainers kitchen with two tone Lafata Custom Cabinets, Command Center, & Walk in Pantry. Quartz & Granite counter tops, Dual access spiral staircase with wrought iron spindles, Impressive finish trim work thru-out including 8' tall interior doors, Gas Fireplace with stacked stone to the ceiling. A must have 31' x 16 ' covered patio (Loggia). Extra deep and wide 3 car side turned garage with direct access to basement. 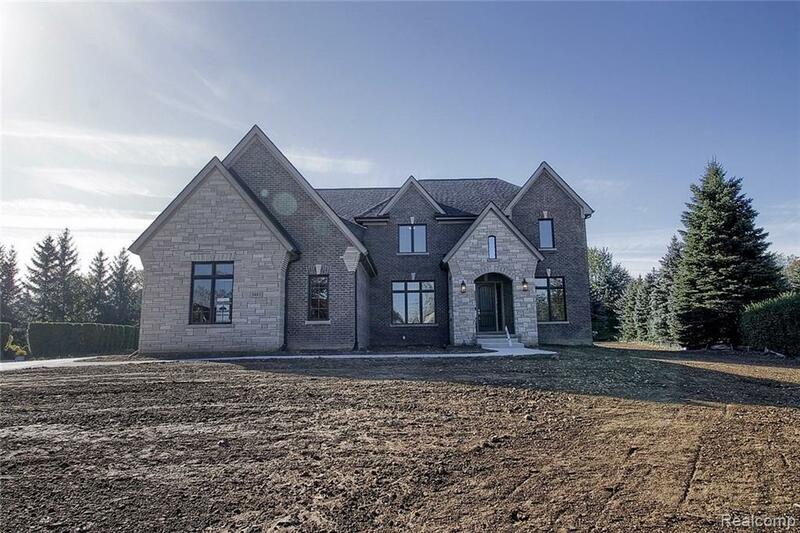 Do not miss this opportunity to purchase this new home in this award winning Rochester School district: Delta Kelly Elementary, Van Hoosen Middle and Adams High Schools.